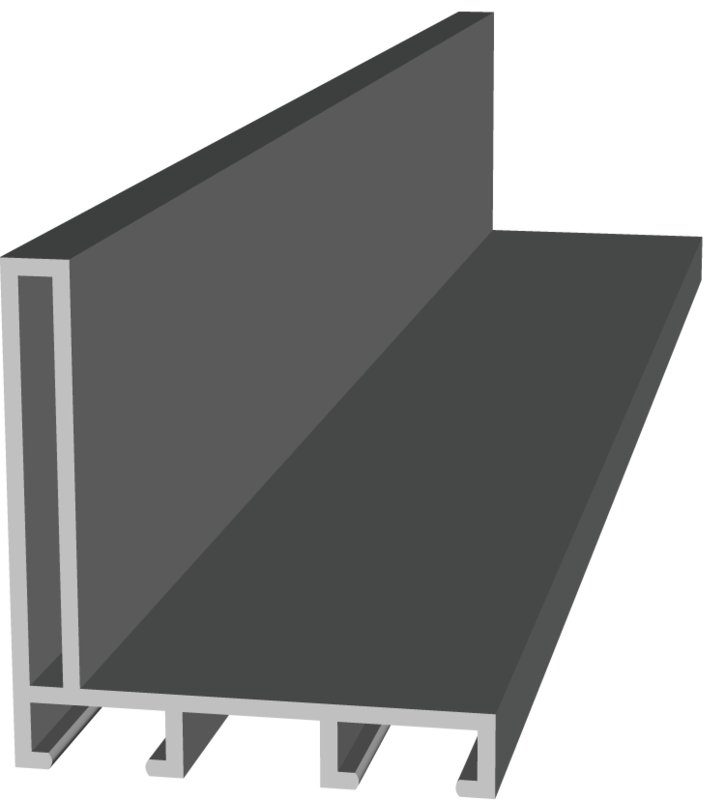 We are Syracuse's premiere custom frame solution. 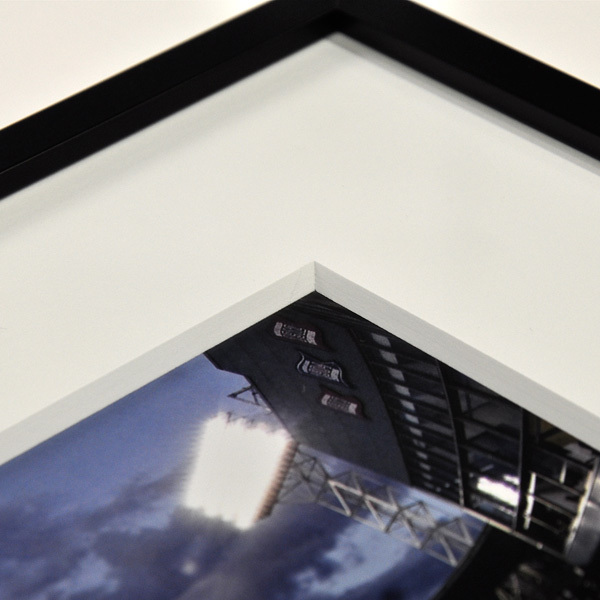 Our wood frames are not only assembled and painted in Syracuse but the moulding is also milled locally as well. We also stock an assortment of Nielsen aluminum frame profiles we cut and assemble in house. 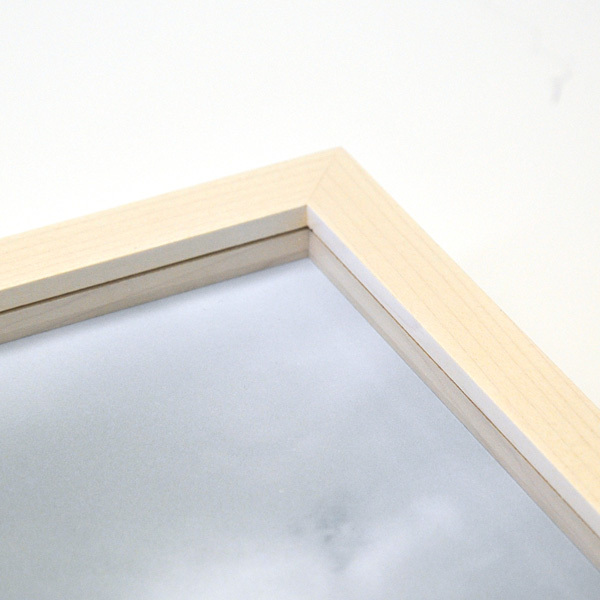 We use select hard maple wood that is custom milled locally specifically for our frames. With maple there is sometimes large variation in color and grain but we choose our wood to minimize this variation. We use maple due to its hardness and visual appeal. Our frames are chopped, joined, sanded and painted in house at our shop. We use thumbnail joining in our frames. 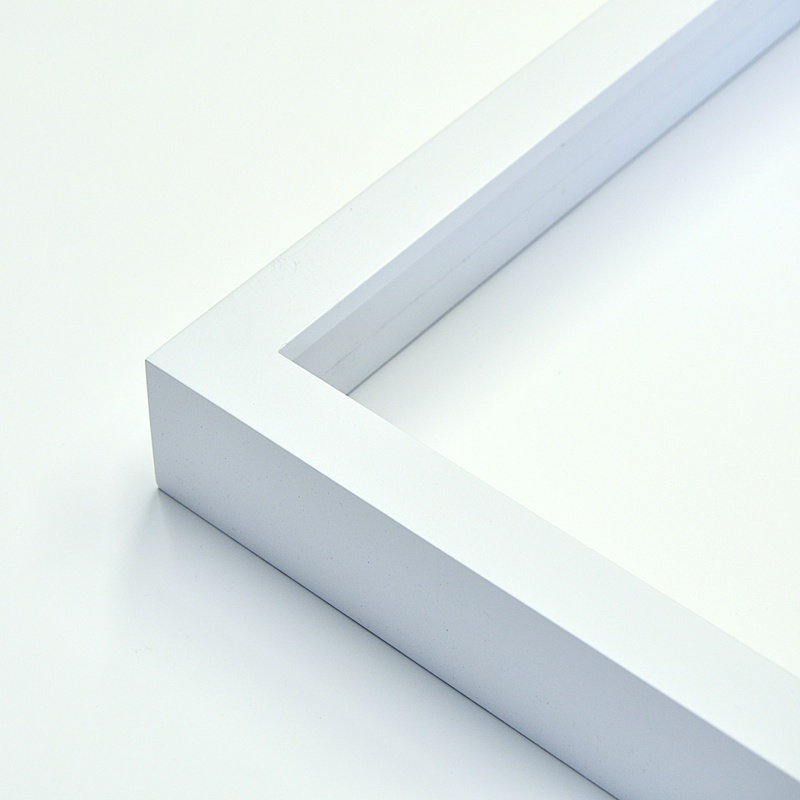 With our painted frames we paint after joining to eliminate visible corner joins, this is especially critical in white frames to eliminate corner seams. Our focus is quality at all steps in our process. 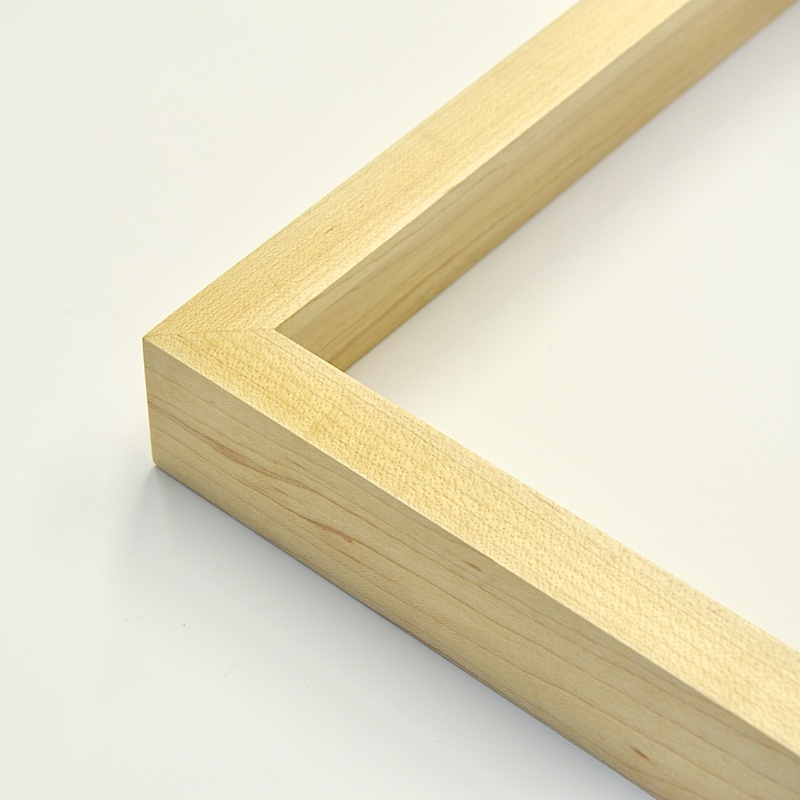 This is select hard maple moulding that is custom cut for our frames locally. It is then chopped, thumbnail joined and then primed and painted in house. No corner seems are visible giving a beautiful museum quality look to your pieces. This is select hard maple moulding that is custom cut for our frames locally. It is then chopped, thumbnail joined and then stained a dark walnut color in house. 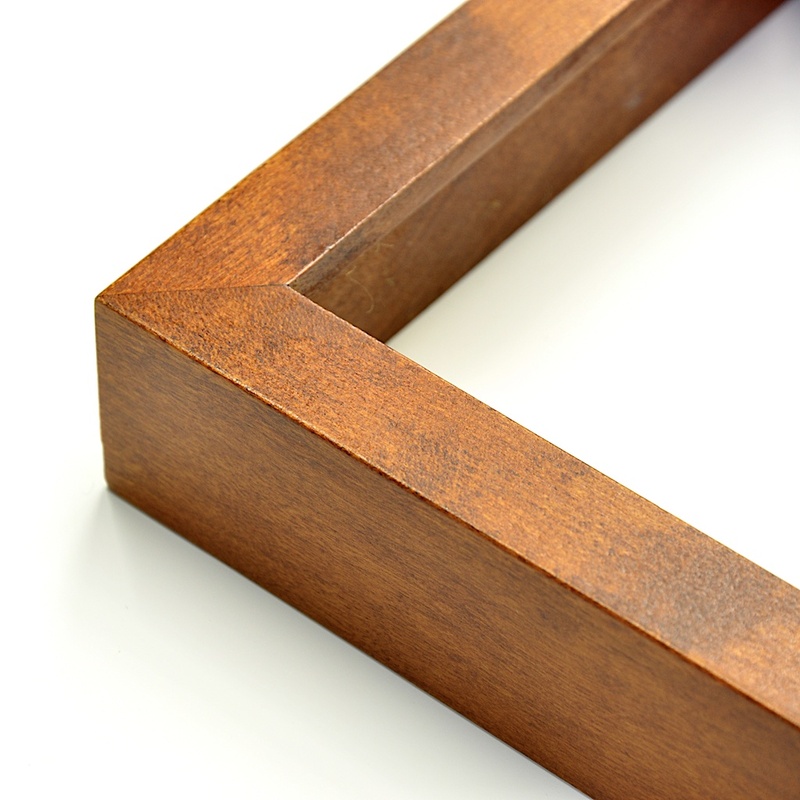 Staining brings out the beauty of the wood without covering it. This is select hard maple moulding that is custom cut for our frames locally. It is then chopped, thumbnail joined and then lacquered with a clear coat. This gives the wood a slightly more yellow tone and adds protection to the wood. This is select hard maple moulding that is custom cut for our frames locally. It is then chopped, thumbnail joined and then sanded. 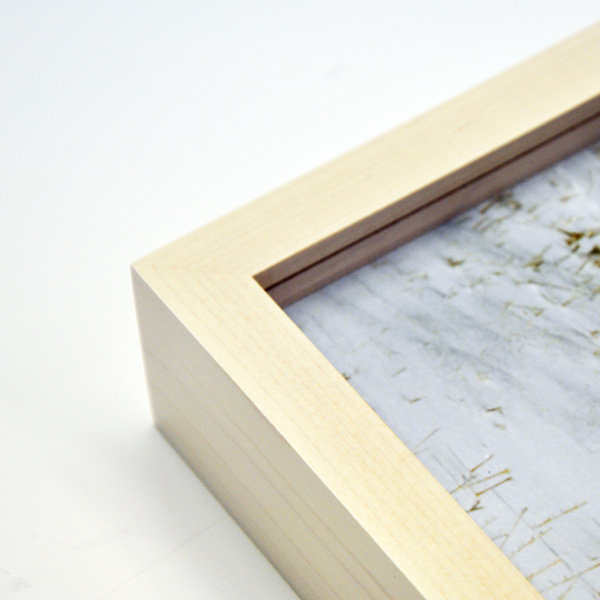 The pale tone of raw maple along with its typically minimal grain make it a popular choice for modern pieces that appear to stark in pure white frames. We offer a variety of matteboard in different colors and textures, all 100% cotton. Choose from 4 ply, or 8 ply to compliment your artwork, or image. 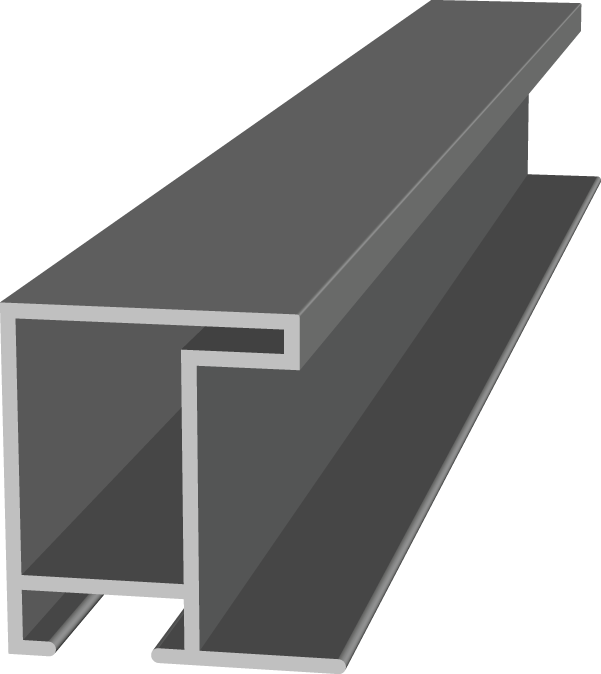 We also offer double matting and multiple windows for the more complex matting needs. 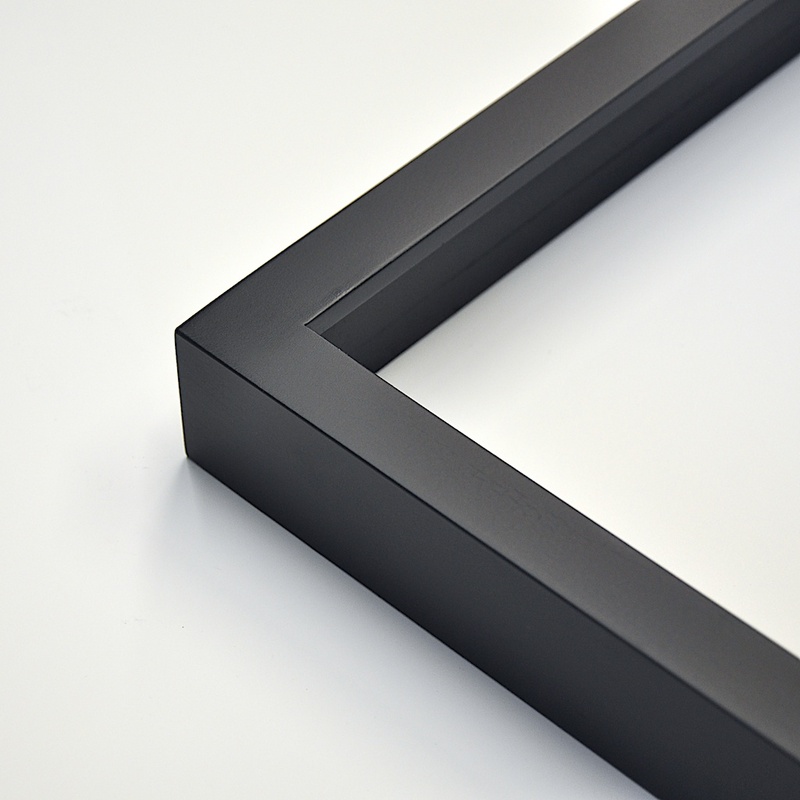 We have two options for spacers in our frames. 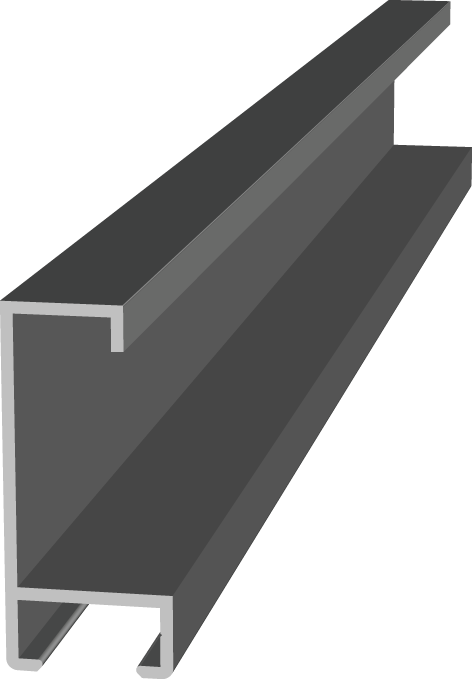 We use solid acrylic spacers that come in either clear or black. 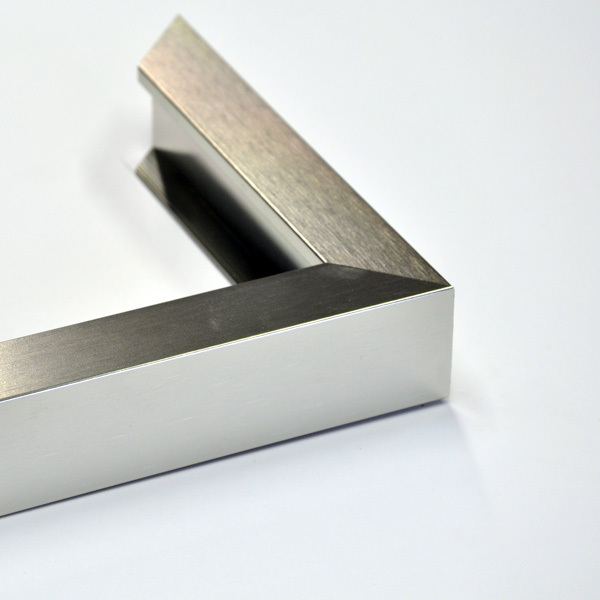 We can also produce custom painted wood spacers that match your frame finish perfectly. Our strainer is used in the back of the frame in order to provide added stability to larger frames. 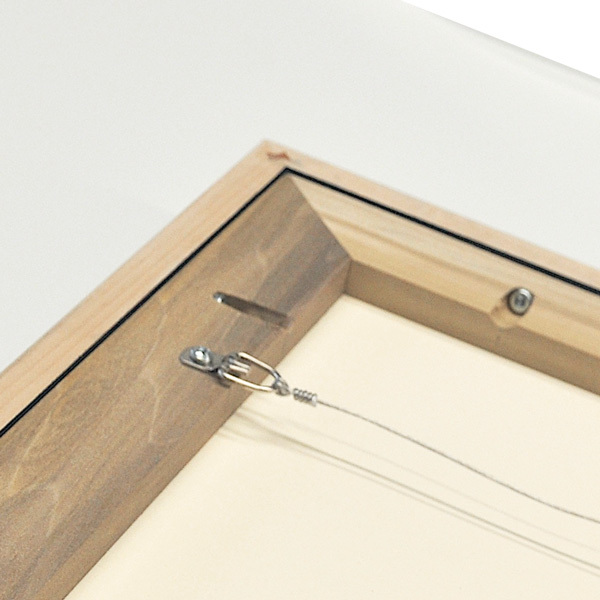 They are designed to be recessed to allow the d-hooks to hang the frames flush against the wall. 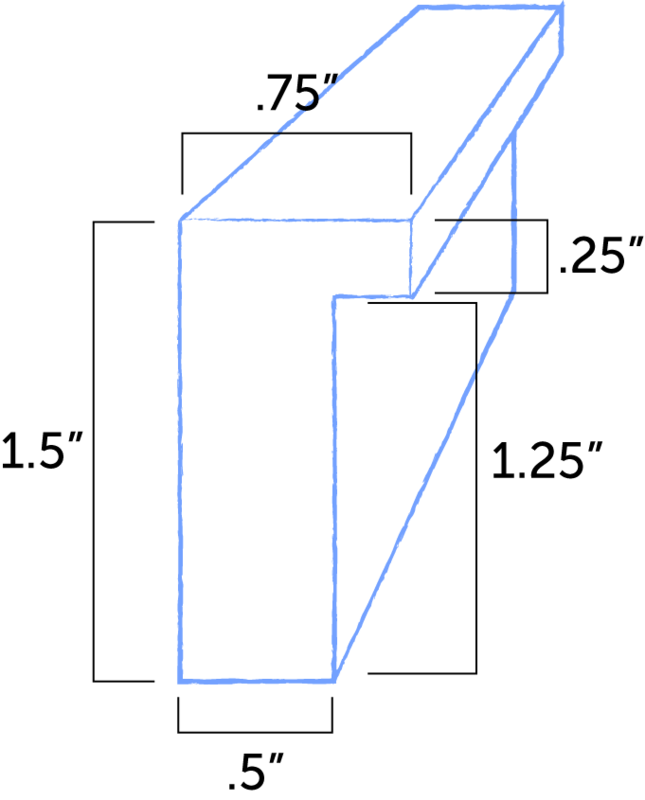 Ask a question about a frame.